Though the Poraths were intent on returning to live in Jerusalem, where they had met and married 67 years before. that would not be possible. Illness kept them in Cleveland. 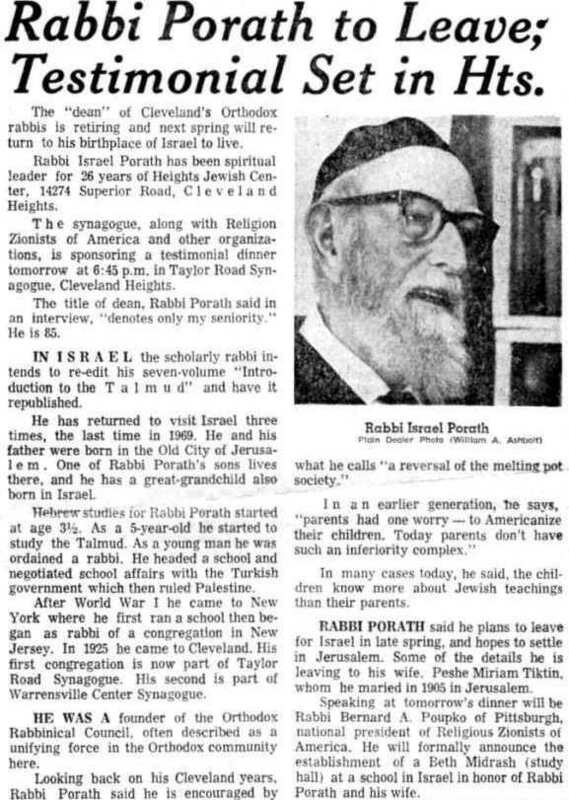 Peshe Miriam Porath died, at age 87, in Cleveland Heights, on December 3, 1973. She was buried in Jerusalem. Rabbi Porath went there and remained a full month in mourning. He died three months later, at his daughter's home in Cleveland Heights. It was the seventh day of Passover He was 88 years old.